Florida is changing dramatically and snowbirds are finding real-estate conditions less tranquil than in the past. In the Sunshine State’s hot real-estate market, snowbirds are increasingly competing against younger buyers, both foreign and American, forcing some Canadians to consider more affordable options either in neighbouring communities or smaller homes. “The problem that Canadians are having right now is not the fact that they don’t want to buy here; it’s that they are being priced out of the market like everybody else,” said real estate agent and investor Brent Leathwood of Cross Border Realty LLC in Sarasota. Florida is now the third-most populous state behind California and Texas and is still growing quickly. Investment is flooding in, attracted not only by the weather, but the absence of a state income tax for individuals. This influx has meant fewer inexpensive properties in good locations. On the surface, life in the Sunshine State may seem much the same. Whether spending winter months in spa-like condos with hotel amenities or relaxing in vacation homes with an RV in the driveway, Canadian snowbirds are forever prominent in Florida. "Buyers are getting younger and younger." Danny Hertzberg, Miami real estate agent. Last year, Canadians comprised 31.6 per cent of all foreign buyers in the state, more than from any other country, according to the National Association of Realtors (NAR). In South Florida, Canadians accounted for 7 per cent of foreigners buying, the Miami Association of Realtors reported. That’s down from 10 per cent in 2011, but it’s still strong given the waves of South American buyers filling the market. Canadians tend to look for less expensive homes than other foreigners do. A report by NAR found that half of Canadian buyers surveyed paid less than $200,000 (U.S.) in 2014, the mean price being $260,800. This was less than the mean of $300,600 paid by all other foreign buyers. Among those Canadian buyers, 53 per cent of their home purchases were for vacation homes, and the majority of buyers (61 per cent) planned to use the properties for three to six months out of the year. “The Canadian buyer who is trying to spend his $200,000 or $250,000 to buy a home – when you couple that with the exchange rate – he is finding his money is not going nearly as far as before,” Mr. Leathwood said. Still, an astonishing 89 per cent of Canadian buyers paid cash, the NAR study found. All-cash deals by foreign buyers are common, helping to heat the market further. 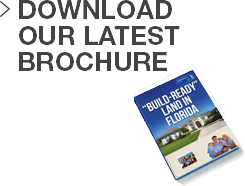 So in this real-estate climate, whether it’s for homes on Florida’s more sedate West Coast (commonly attracting Torontonians and Canadians from the middle provinces) or in Miami and along the active eastern side of the state (more popular with Quebeckers, like New Yorkers), Canadians are primarily competing to buy Florida homes that are less than $500,000. This is by far the most competitive market segment in state, attracting the most bidding and much of the new home construction, Mr. Leathwood explained. There are pros and cons in this. The busy under-$500,000 market means that resale prices of old homes rise: a con for new buyers. However, because there is so much competition among home builders, the extra price for a new home isn’t as steep as usual. The lack of state income tax is commonly cited as a major attraction for younger buyers, especially the newly wealthy flocking to Florida from other affluent areas of the United States. Miami is still the magnet for Latin and South American money coming to Florida, but there’s domestic demand throughout the state. “Domestic buyers in the last 12 months have been really driving our market, and they’ve filled the void of the traditional foreign markets that were buying here. We still have a lot coming from Venezuela and a lot from Argentina. But Brazil’s fallen off, and Russia’s definitely fallen off,” said Mr. Hertzberg, who is an agent for Jills Group, which is part of Coldwell Banker Residential Real Estate. That’s not a universal observation. Mr. Leathwood of Cross Border Realty pointed to continuing strong Russian demand, despite U.S. restrictions on Russian capital flows in response to Russian involvement in Ukraine and the Crimea. He also sees strong demand among Chinese buyers. The NAR report noted that Chinese buying accounted for 6 per cent of all purchases. This was mainly in the centre of the state in Gainesville and Orlando, and on the west coast from Sarasota up to Panama City. Mr. Hertzberg sees less Chinese buying in Miami. “No, in my opinion, there’s been a lot of writing [on this], and it hasn’t been based on much. It’s an exciting trend that we’re all hopeful for, and there’s been a lot of outreach to Asia,” Mr. Hertzberg said. With domestic and new international buyers streaming into Florida, the state’s population last year increased by 800 people a day, according to census reports. And with this influx and heavy housing demand, the question is finding property at a preferred price. Chip Harris, a real estate agent in Naples, who grew up in Sarnia, Ont., noted the rise of young Canadian professionals relocating in his area along Florida’s West Coast. There isn’t a lot of supply of new homes, particularly high-end properties. And the lower Canadian loonie, while not dissuading countless snowbirds from migrating to Florida, will make some properties less affordable. Because of the dollar, Canadians may not spend $350,000 on a vacation home, “but they’ll spend $250,000,” he said.